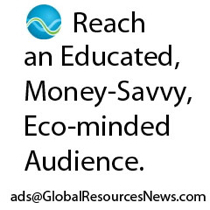 GlobalResourcesNews.com examines the conflict over commodities and resources such as oil, water, land and minerals. We cover the competing interests of trade, local society and environmental concerns. Our coverage is based on well-documented data about these issues, drawing on authoritative sources, describing these conflicts over commodities in a neutral tone. We hope you will use this information to assess risks about the conflicts over commodities and use that assessment to guide your decisions in the fields of oil, gas, shale, land, food and other commodities. As shale gas extraction expands around the world, producers face risks of working in areas that are either dry or have high water stress, a new report says. Lack of water or problems using it could create serious business risks for drillers attempting to use hydraulic fracturing techniques to extract shale gas, said the shale-water stress report, issued by World Resources Institute. About 38% of the areas with shale gas potential experience dry conditions or high water stress level. Also, 40% of the top 20 countries rich in shale natural gas potential face arid or water stress conditions, the report said. The WRI report based its measure of water risk on seven factors. A key indicator is the baseline water stress, which is the ratio of water withdrawals to the amount of renewable surface water supplies. Water risk for shale, as measured by WRI, can also include: seasonal variation in water supply; drought severity; groundwater depletion rates; population density and the nature of the shale gas deposit. China is particularly squeezed in its shale-water nexus. The country has estimated shale gas reserves of 1,115 trillion cubic feet. 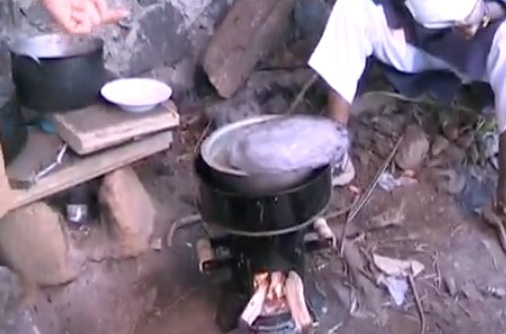 Yet 61% of the areas in China with shale gas are arid or face some form of water stress. China, the largest fast-growing economy in the world, is a major consumer of natural gas. Its proven gas reserves, largely conventional plays, is about 155 trillion cubic feet. The US Dept. of Energy said China produces 3.8 Tcf per year and may increase production to 10 Tcf by 2040. 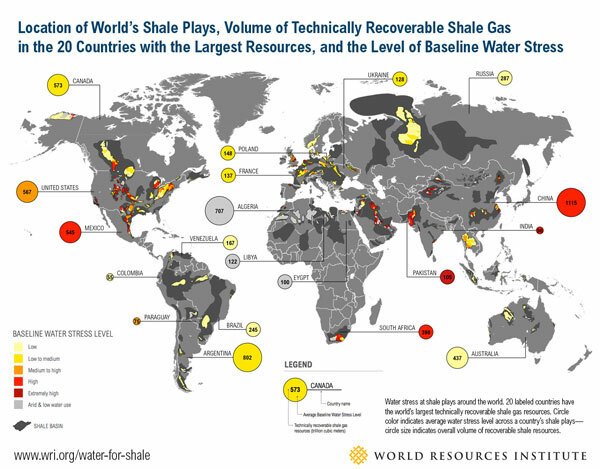 Read more on the WRI report on water risks for shale gas potential. Read the full story at PBS.org/MediaShiftWith $700 billion planned for climate change investments, a way is needed to monitor the environment and related projects. Mapping, satellite imagery and open data are being used to provide information, this PBS report says.